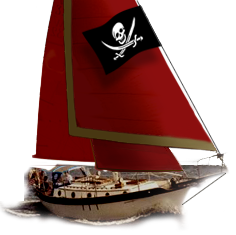 Westsail Owners Alliance - Thread: "It's Official W28 FOR SALE!" Thread: "It's Official W28 FOR SALE!" It's Official W28 FOR SALE! Begin Thread: It's Official W28 FOR SALE! Reply #1 on: It's Official W28 FOR SALE! 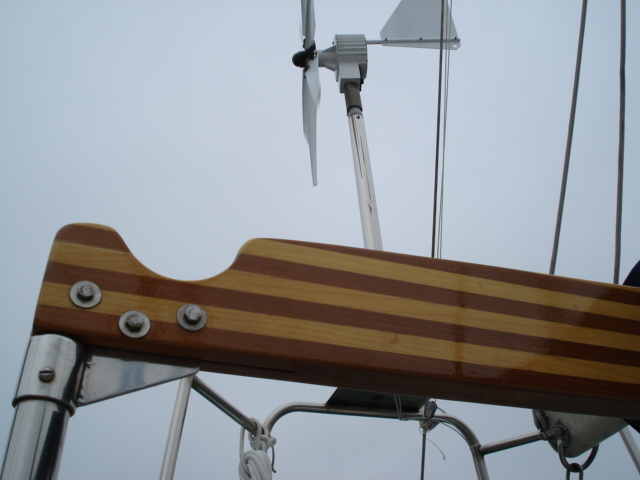 Staysail mounted Profurl roller reefing/furling system & rigged to be self tacking. 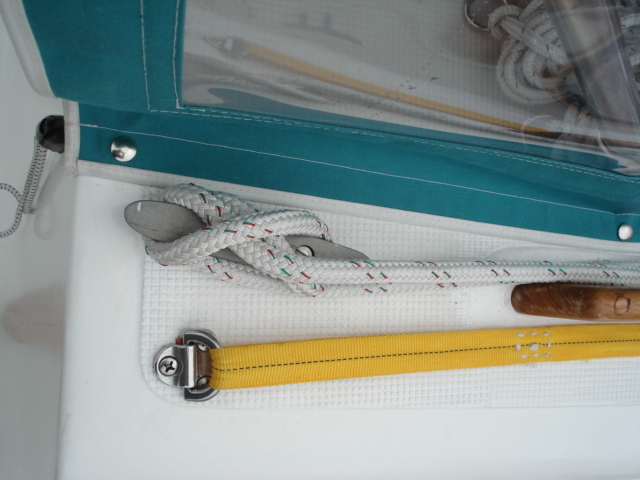 There are two separate anchor line stowage compartments in forepeak, with a V-berth aft of that. 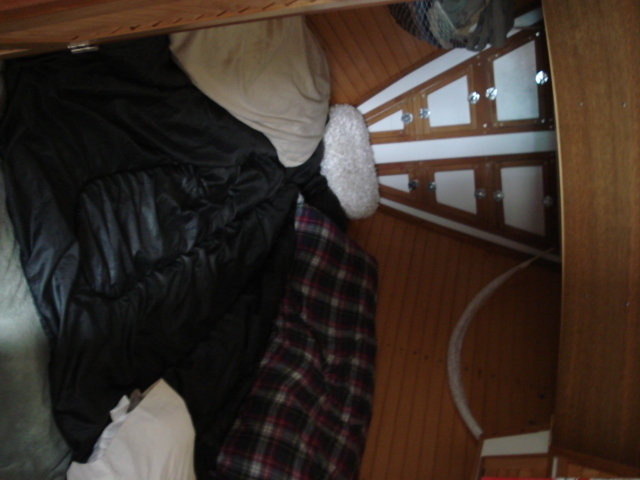 Behind the V-berth is the head on the starboard side and a hanging wet locker to port. 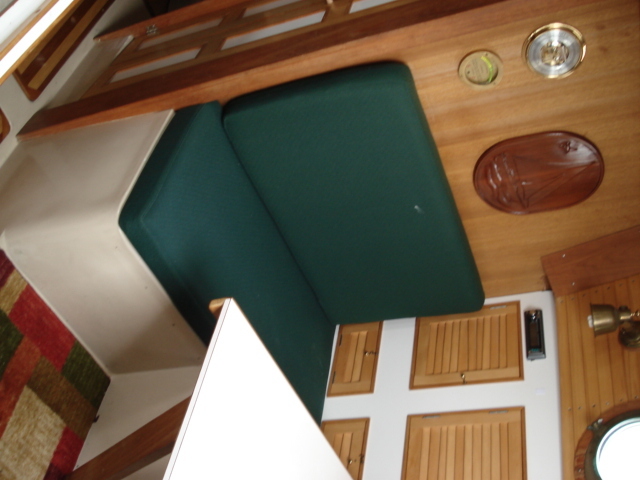 THe center of the boat has a dinette area to starboard that converts to a birth, and a quarter berth to port, and engine room in the middle. A lazarette in located at the stern of the boat with cockpit access. 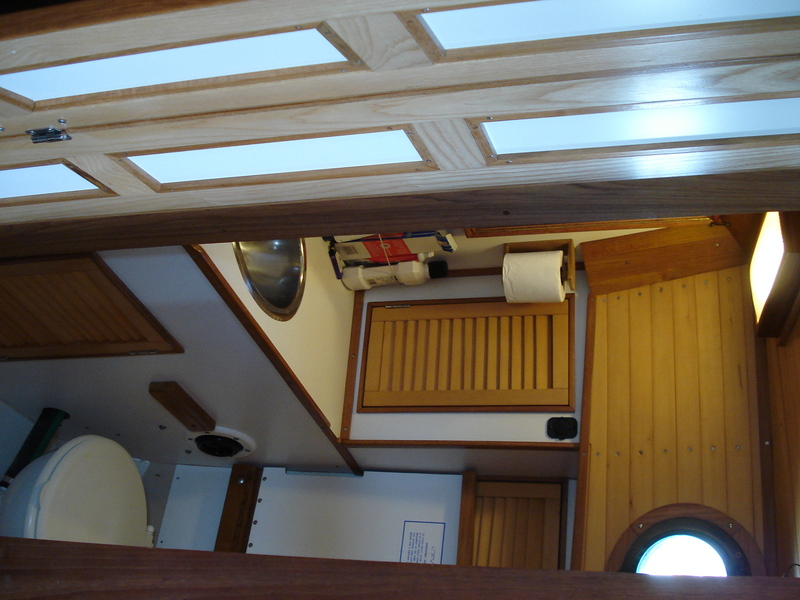 Interior is finished in a combination of Alaskan Yellow Cedar, Teak and white Formica for a bright and airy appearance. 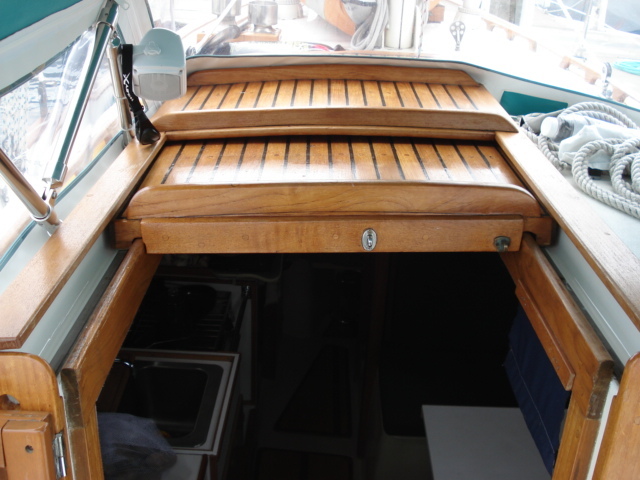 There is an opening hatch above the v-berth and 8 opening bronze portlights. 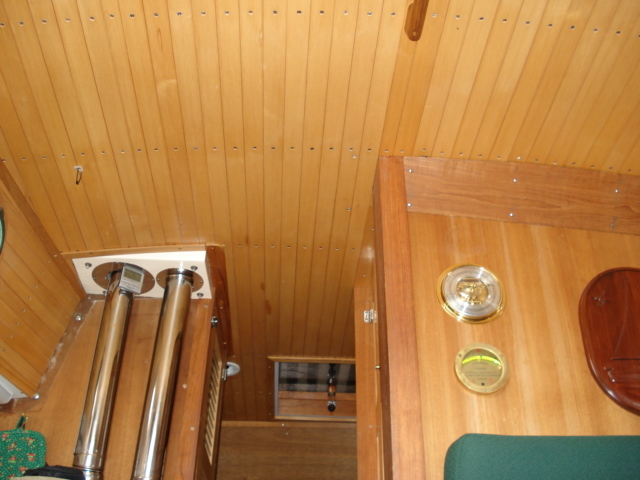 Interior is insulated to the waterline. All Upholstery was new in 2005. Lavac Marine Toilet with three-way pump out capability: Bowl to holding tank; Bowl to Overboard; Holding tank to pump-out via deck fitting. Holding tank is thick-walled polypropylene with high quality, oder-free hose connections. Sink with fresh water gusher foot pump, comes with rebuild kit. 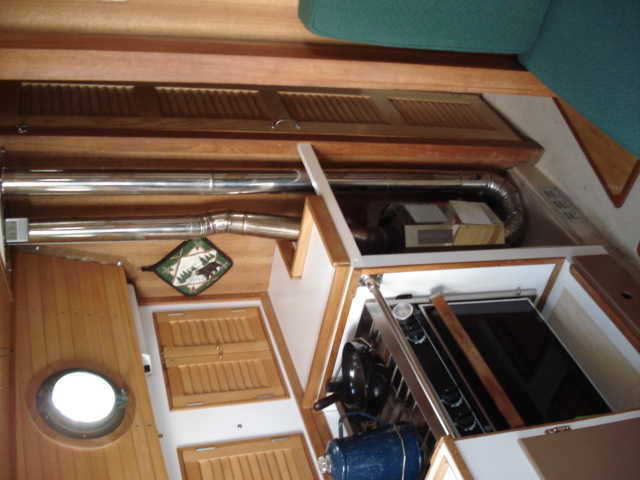 A FabAll kerosene/diesel heater is located between the galley area and the hanging locker. 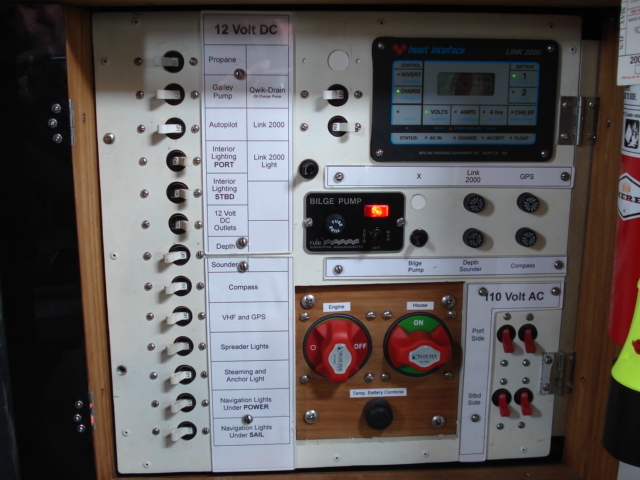 This heater has separate intake and exhaust vents so oxygen inside the cabin is not burned up while the heater is operating. 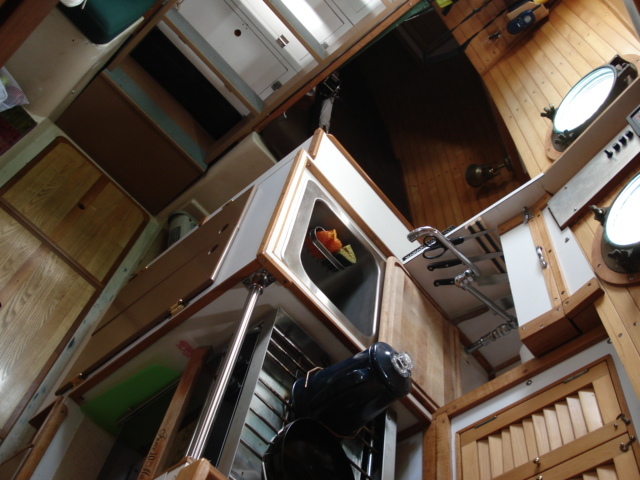 There is a 5.8 Gallon Kerosene/diesel tank in the hanging locker, an in-line Racor fuel filter and a separate kerosene utility hose with shut-off valve for filling lamps, ect. Double stainless sink extra deep with fresh water Gusher foot pump or electric pump option. Volvo MD11c, 23 HP diesel engine with raw-water cooling. Engine uses about a quart and hour. 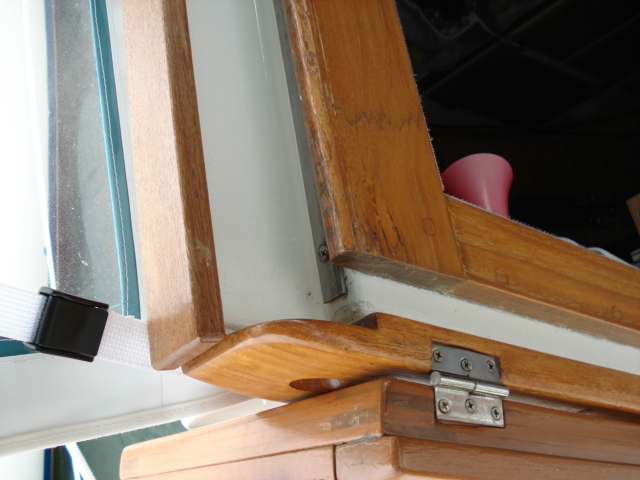 Bilge pump Rule 1000 with a spar for back up. A complete tool set includes everything you need to tap, drill, grind ect.. It is all here she is fully stocked also, you could literally just go. this boat is ready to go fully stocked 8 months food! Reply #2 on: It's Official W28 FOR SALE! Reply #3 on: It's Official W28 FOR SALE! Reply #4 on: It's Official W28 FOR SALE! Reply #5 on: It's Official W28 FOR SALE! Reply #6 on: It's Official W28 FOR SALE! Kendall - was this boat originally called "spirit"? Reply #7 on: It's Official W28 FOR SALE! Reply #8 on: It's Official W28 FOR SALE! Reply #9 on: It's Official W28 FOR SALE! I actually like that she is lighter inside, also the space on the starboard quarter is open for storage, unlike the factory finish where it is blocked off, there is a lot of room in there. Reply #10 on: It's Official W28 FOR SALE! You put a lot of work in to getting her ready for the trip to Hawaii. I am curious, why you have decided to sell her? Reply #11 on: It's Official W28 FOR SALE! It is primarily for family needs. I need to be with in a couple hours for the next couple years. 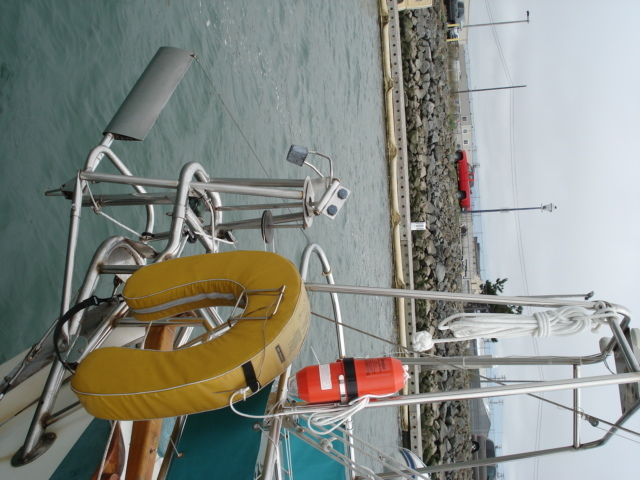 The boat is great, she really is just ready to go. I would constider a modification of the price with a reduction of gear. 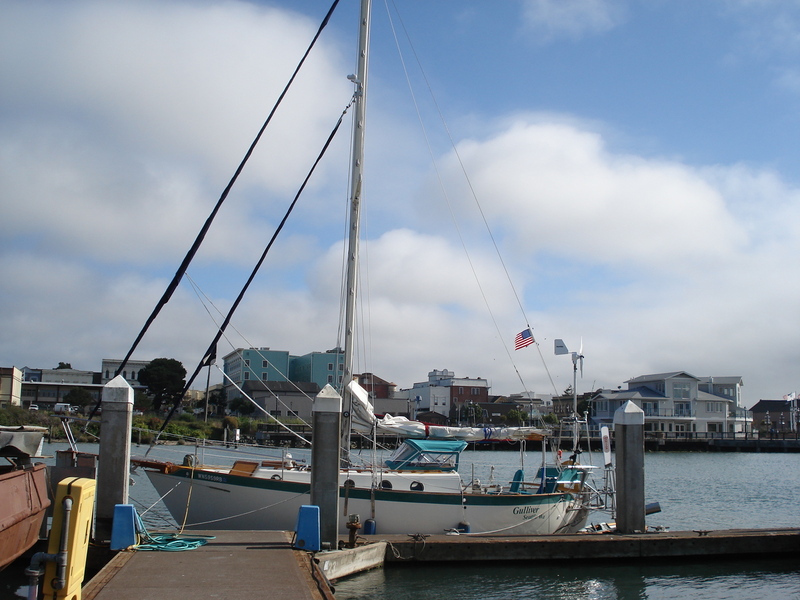 I would prefer to keep her all together, because I know that who ever buys her would be more likely to take her offshore. Reply #12 on: It's Official W28 FOR SALE! Wow... 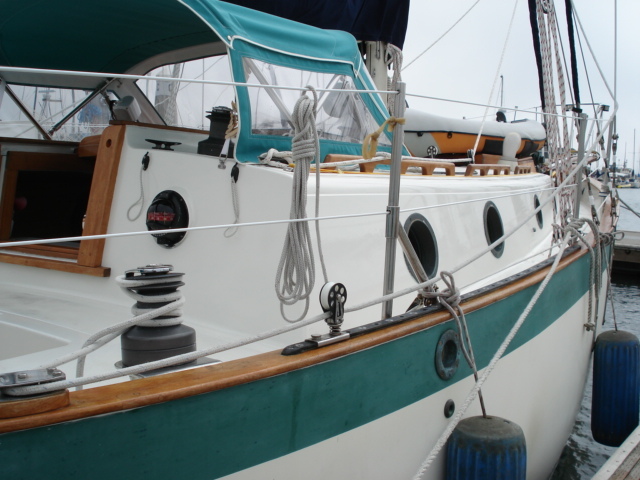 I like this boat... great use of space, and I like the traditional white interior. Reply #13 on: It's Official W28 FOR SALE! Kendall, I wish you the very best. Gulliver is a great looking boat. Hopefully she will have a new owner that will appreciate and take as good of care of her as you have. Reply #14 on: It's Official W28 FOR SALE!